Ninth-ranked UCLA may not be seen as a national title contender to most college football fans, but their convincing 38-20 win over USC turned out to be the biggest of the weekend according to Nate Silver’s model. With only two weeks left in the season, there aren’t many opportunites for the teams above UCLA to lose. 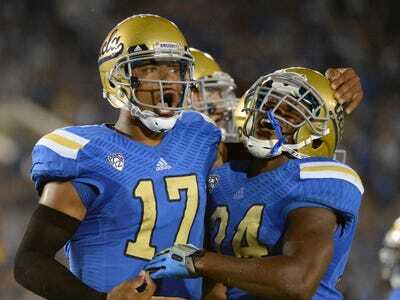 However, UCLA still has the advantage of a potential Pac-12 championship game match-up with No. 2 Oregon, if the Bruins can get past Stanford first. Meanwhile, if we assume the top-three teams win out and are in the playoff, Silver’s model gives TCU a slight edge to grab the No. 4 spot over Ohio State, Baylor, and Mississippi State.